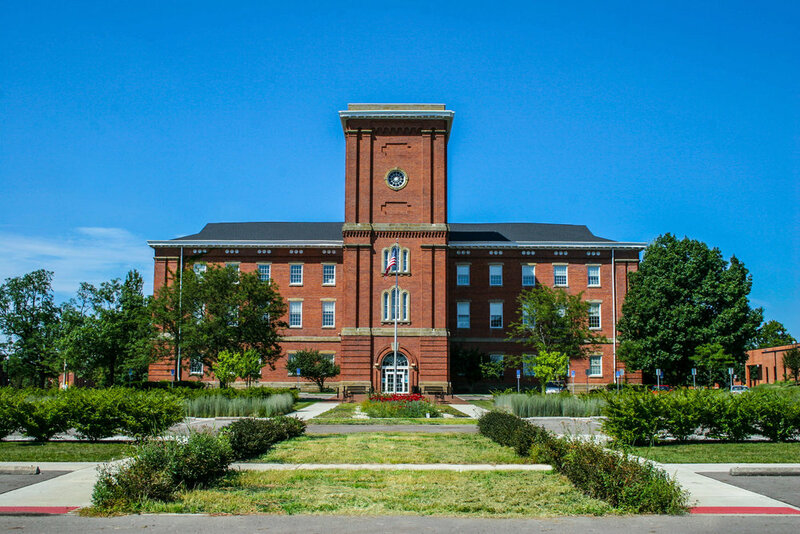 Schooley Caldwell designed the conversion of this Civil War-era military base into the Fort Hayes Metropolitan Education Center for Columbus City Schools. The school now occupies five historic buildings totaling 168,000 square feet of space on the campus. Several of the the buildings had been vacant for 30+ years and were severely distressed after years of neglect. The design team “broke all the rules” to give these historic buildings a new life. With interior spaces that were too narrow for conventional corridors or hallways, former porches became outdoor egress corridors, retaining character-defining features while meeting code requirements and state school facilities commission guidelines. Details such as large open spaces and daylighting from original window openings create standout rooms in which to learn and perform. A floating floor assembly in the dance studio eliminates impact noise to classrooms below. As part of the rehabilitation, the design team took great care not to obscure original fabric that had historic or aesthetic appeal; in some rooms structural elements were left exposed to create spaces with a tremendous amount of character. With no conventional utilities present in any of the buildings, one of the main design challenges involved how to incorporate contemporary school technology, energy-efficient HVAC, and modern plumbing. “Found space” in the attic provided room for horizontally run ductwork and technology; cavities between classroom partitions created vertical space. Unused latrine buildings behind the two former barracks buildings serve as the physical plant, housing the electrical gear, boilers, and chillers required. The objective was to reuse as many of the historic buildings as possible and to put each one to its highest and best use.